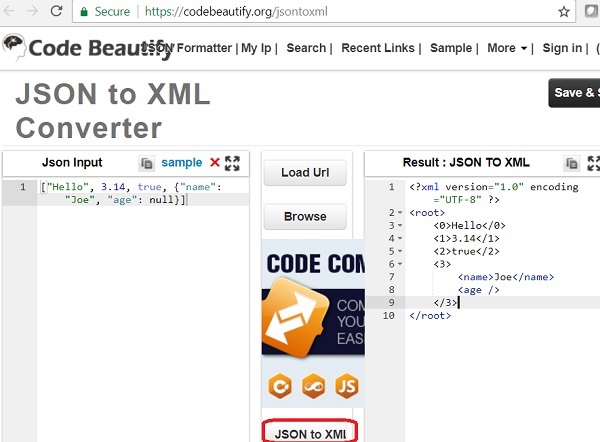 How to use the JSON to XML Conversion Tool at codebeautify.com? 1. Go to the JSON to XML Conversion Tool page at codebeautify.com. So the JSON to XML conversion tool at codebeautify.com is not good.